I’m a sucker for Christmas albums and Christmas in general. I don’t care who knows it. I’m also a sucker for Richard Marx. Great voice, great songwriter, he’s written some of the greatest rock/pop songs of all time. Everyone should at least own one of his greatest hits compilations. 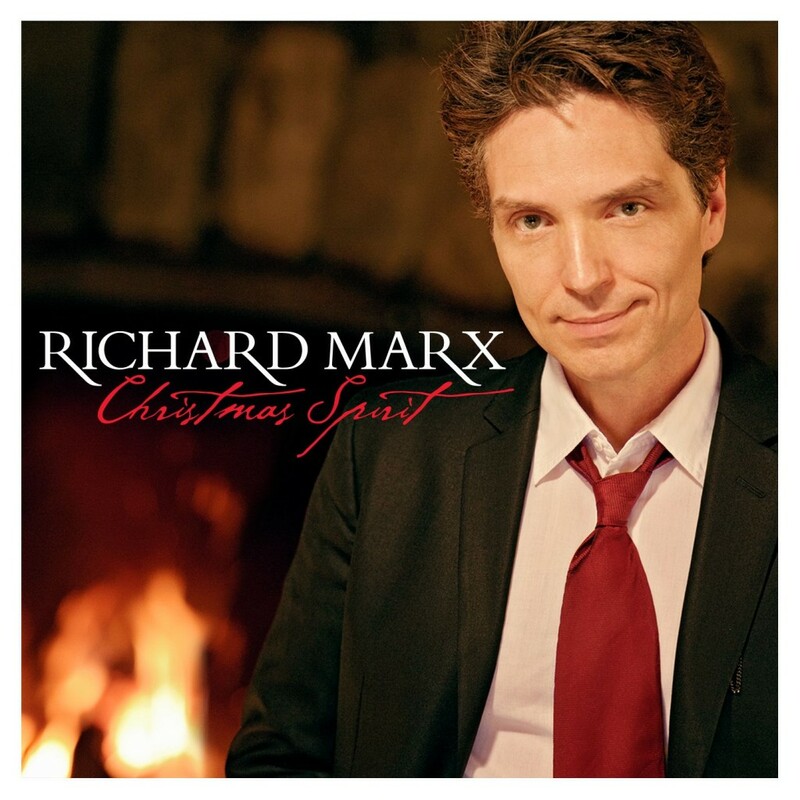 Anyway, when I found out Richard Marx was releasing a Christmas album, I knew I had to check this out. There are some artists that toss out a holiday album as a cheap & lazy way to cash in on the holiday cheer of an unsuspecting public but that’s not what we get with Christmas Spirit. To be fair though, “Christmas Spirit”, “O Holy Night”, “Silent Night”, “I Heard The Bells On Christmas Day” & “Alleluia” all appeared on Marx’s The Christmas EP in 2011. The album is named after one of the album’s original Marx-penned songs. And it’s a good one. In fact, “Christmas Spirit” is one of my favorite songs on the album. It’s upbeat and sounds like something that could’ve come from Mariah Carey’s Merry Christmas album. It’s a contemporary Christmas classic, in my opinion. The second original track, “Christmas Mornings”, sounds like a classic Marx ballad to me. The rest of the album is full of holiday standards which are sometimes played traditionally and sometimes not. “I Heard The Bells on Christmas Day” becomes even more of a haunting ballad in the hands of Richard Marx. There are now two truly great versions of this song: Bing Crosby’s and now Richard Marx’s. “Little Drummer Boy” is another song that has received a soft rock/pop makeover. This is really the only song on the album I find myself skipping over. It’s way too “light” sounding for me (and, yes, I know I’m discussing Christmas songs here). Other songs such as “The Christmas Song”, “White Christmas”, “Let There Be Peace on Earth” and “O Come All Ye Faithful” are played pretty faithfully but still done quite well. I don’t mind hearing traditional Christmas songs played straight. For me, it has more to do with who is singing the song and it’s great hearing Richard Marx put his stamp on these timeless classics. Christmas Spirit is a new holiday classic that is sure to get a lot more play in my house around the holidays as the years go on. Even radio seems to agree with me as I’ve already heard “Little Drummer Boy” numerous times on one of the local stations that is playing Christmas songs up until the New Year. I think they’ve played “Christmas Spirit” as well. The album is well worth picking up. There is also an exclusive edition at Target that includes four bonus tracks: “Blue Christmas”, “Silver Bells”, “Jingle Bell Rock” and “Have Yourself A Merry Little Christmas”.